I am a cracker lover and have been forever and I usually go for something thin and crispy but I finally tried Dr. Krackers crackers and flatbreads and they are hearty, crispy and yummy. They go really great with your favorite hummus. The flatbreads are great with Tofutti and Tofurky with a slice of tomato. These crackers are much more filing than your normal crackers such as wheat thins, saltines or ritz. 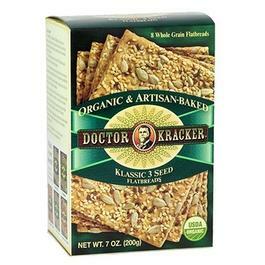 My favorite of these crackers is the Seedlander which has tons of pumpkin seeds- a great source of zinc. 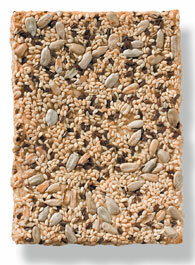 I love how Dr. Krackers crackers and flatbreads are hearty with lots of seeds that make them filling. At your next cocktail party place these on a plate near some hummus, tofuspread and/or vegan cheese and enjoy!